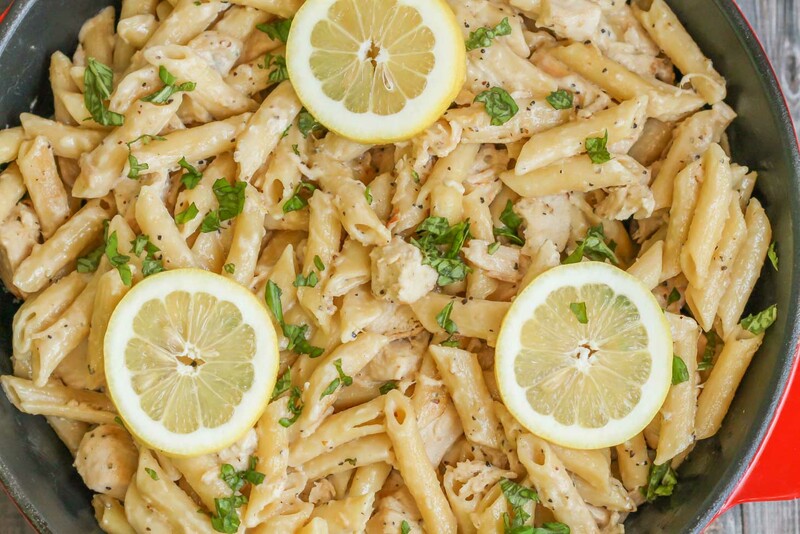 This Creamy Lemon Chicken Pasta is a delicious dinner recipe that is simple and flavorful. 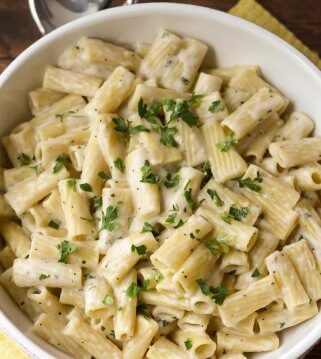 Pasta is boiled in broth and spices and mixed with whipping cream and chicken chunks making this dish amazing! 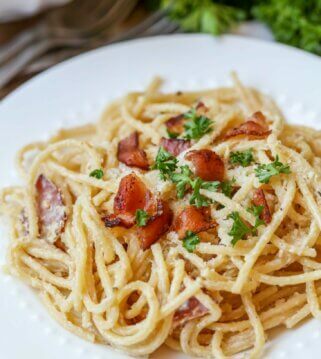 With as often as my family gets together, pastas dishes are a staple. They are quick, easy, and can feed a lot. 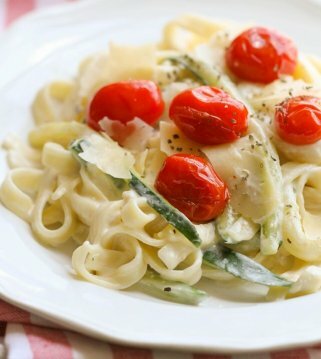 We’re always on the hunt for new, simple, delicious pasta dishes and today’s recipe happens to be one of those. 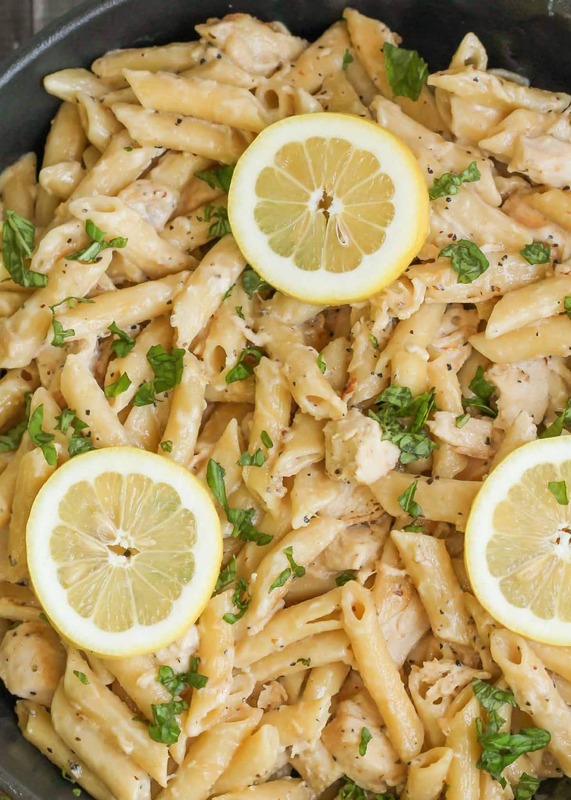 This Creamy Lemon Chicken Pasta is one of those recipes that we really feel is worthy to share and is a must-try! 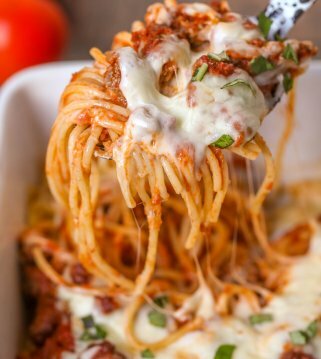 This particular recipe is made a little differently than our typical recipes where the pasta is prepared and a sauce is made separately. Having said that, it’s still simple since it’s pretty much made in 1 pot! 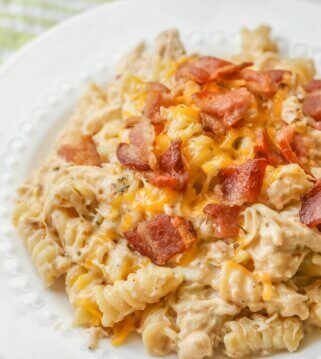 The pasta in this recipe is cooked in chicken broth which makes it so flavorful. 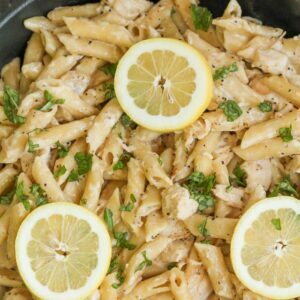 After the chicken is seasoned, cooked and cubed, it’s added to the cooked pasta along with some whipping cream which makes it very creamy. We ended up changing a few things since we have a large family to feed, so we doubled the amount of pasta and also increased the amount of whipping cream to make sure it wasn’t too dry and was more creamy. We loved how flavorful this dish was even without cheese. 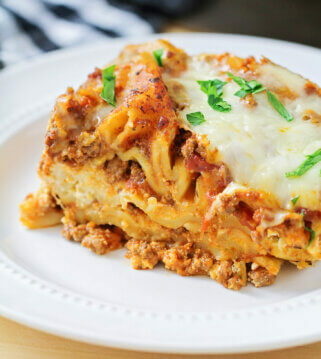 If you still would like to add cheese, just add some grated Parmesan or even some shredded Mozzarella cheese at the end to make it even more tasty. Either way, we think you’ll enjoy it. Prepare chicken by squeezing lemon over both sides and seasoning with 1 teaspoon garlic powder and ¾ teaspoon pepper. Bake at 350 for about 40 minutes, or until chicken is cooked through. Meanwhile, in a large saucepan, add remaining teaspoon of garlic powder and pepper to chicken broth. Bring to a boil and add lemon juice and pasta. Cook over medium heat until all liquid is absorbed, stirring occasionally, approximately 25 minutes. I hope you like them, as much as we do! Let me know what you think! Do you cook the pasta in the chicken broth? Yes, you’ll add some garlic powder and pepper to the chicken broth, bring to a boil and add lemon juice and pasta and cook until water is absorbed, about 25 min. Hope you give this recipe a try. It’s has so much flavor! Can you use half and half in place of the heavy whipping cream? I haven’t, but I’m sure that would work fine. Let me know what you think. Thanks so much and hope you like it! Wow, thanks for sharing this! It was so good!